Samar Hazarika urges all not to create a controversy around the Bharat Ratna for his brother. When Assamese singer Bhupen Hazarika's name was announced for Bharat Ratna, the country's highest civilian honour, his son had described it as a "victory for humanity, diversity and the country's secular character". However, a few weeks later, Tej Hazarika has called it "a display of short-lived cheap thrills". Reason? The intensifying protests in the entire northeast over the controversial Citizenship (Amendment) Bill 2016 and the centre's intent to grant citizenship to non-Muslims. The Bill has already been passed in the Lok Sabha. Tej Hazarika, who lives in the US, said he was unhappy how the centre planned to pass the "painfully unpopular" Bill which was against his father's beliefs and position. But that's his opinion, not the family's, clarified Samar Hazarika, the legend's brother. "We haven't discussed this. What we feel about the honour shouldn't be associated with what he thinks," Samar Hazarika told NDTV and appealed to everyone not to create any controversy around it. Any controversy in this regard is unwanted, added Samar Hazarika, who is also an acclaimed artiste of Assam. "Bhupen da deserves the honour. We all, including Bhupen Hazarika, would have been happier if the honour had come when he was alive. Tej had not consulted us on this, but I think Tej should accept the honour," said Bhupen Hazarika's sister and prominent artiste Sudakshina Sarma. Bhupen Hazarika had earlier been honoured with Padma Vibhushan, Padma Bhushan, Padma Shri, Dada Saheb Phalke and Sangeet Natak Akademi. "Each award has naturally enhanced the pride and honour of every Assamese and Assam," Samar Hazarika said. 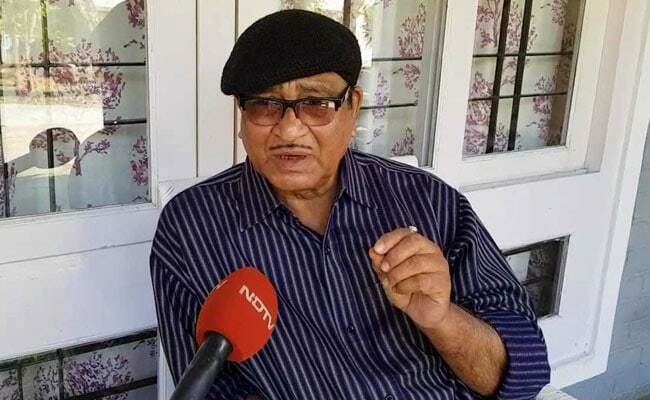 The late artiste's sister-in-law Manisha Hazarika added, "Being a member of the Bhupen Hazarika family, I am saying that this award is one of the most respected awards of this nation and Bhupen da is a legendary figure. He is above politics, so raking up this controversy is wrong." The music maestro's brother said that Bharat Ratna and the Citizenship Bill are two completely different things and the honour should not be seen in the light of the ongoing unrest. "Bharat Ratna is a recognition of his work, this was long due. We welcome the government's decision. This is not only a honour for the family, but an honour for Assam and the northeast. Tej's statement is his personal opinion," he added. In his songs, he celebrated the richness of indigenous people not only of the northeast but all of India, Tej Pratap had said. "I believe that my father's name and words are being invoked and celebrated publicly while plans are afoot to pass a painfully unpopular bill regarding citizenship that is actually undermining his documented position. It would in reality be in direct opposition to what Bhupenda believed in his heart of hearts," Tez Hazarika said in a Facebook post. The Citizenship Bill aims at granting citizenship to non-Muslims from Bangladesh, Pakistan and Afghanistan after six years' stay in India. Meghalaya, Assam, Mizoram and Manipur have seen widespread protests since the Bill's passage in the lower House. The protests have spiked particularly in Assam, where the inflow of illegal migrants from Bangladesh is a huge social and political issue. Critics have also questioned the timing of the honour. Prime Minister Narendra Modi's rallies in the northeast and specifically Assam have generous mention of Bhupen Hazarika. During one such rally in Assam, PM Modi said the previous governments had failed to honour these icons and it was the BJP government which conferred the Bharat Ratna on Assam's first Chief Minister Gopinath Bordoloi during Atal Bihari Vajpayee's term and now music legend Dr Bhupen Hazarika. "We think that those who are against the Citizenship Bill are behind this propaganda (the controversy around the Bharat Ratna)," said Rupam Goswami, Assam BJP spokesperson. Whereas the Congress believes that the concerns of Bhupen Hazarika's son aren't unfounded. "I understand the concerns and sentiments of Tej Hazarika. The Narendra Modi government is working against the idea supported by Bhupen Hazarika," said Ripun Bora, chief of Congress' Assam unit.